Thumbprint cookies - small, short biscuits filled with a little well of deliciousness - are my absolute favourite. They're small enough to pull off rich, strong flavours - so small, in fact, that it's totally fine to eat two or three (read: ten) in one sitting. 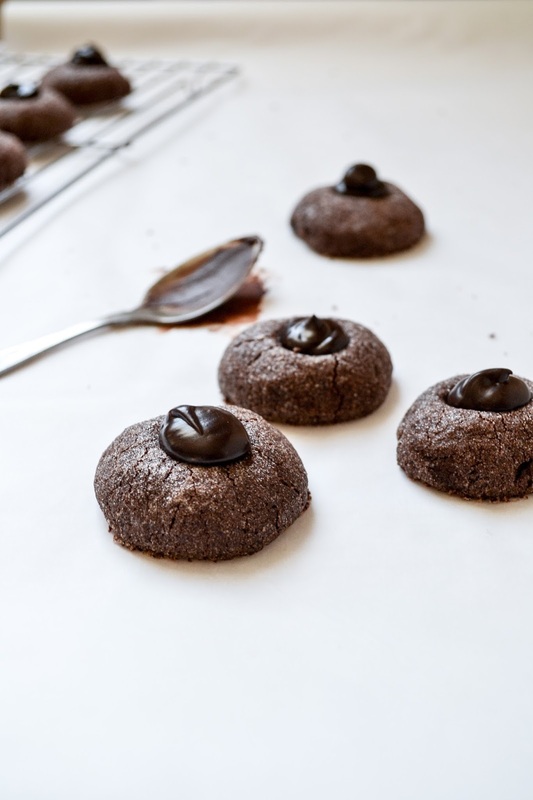 I've made thumbprint cookies before using peanut butter and jam (you can find my recipe here), and have been meaning to try out a chocolate version ever since. Chocolate and cardamom are so delicious together; cardamom brings a warm, citrusy flavour that cuts through the richness and can also make cheaper chocolates taste expensive. Win win, no? I've had a little staycation this week, and have been loving having a little more time to experiment in the kitchen. Spring has well and truly sprung in London too. I have cookies and I have sunshine, and life feels sweet. 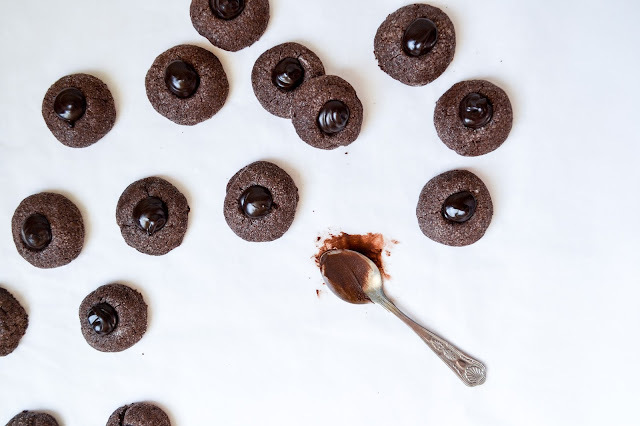 These cookies are dainty and decadent enough to be given as a gift. Wrap them up in baking paper and ribbon for the perfect edible treat. Heat the oven to 170°C / 150°C fan and line a baking tray with parchment. Cream together the butter and sugar until light and fluffy. Add the egg yolk, milk and vanilla and beat until smooth. In a separate bowl, whisk together the flour, cocoa powder, fine salt and ground cardamom. Add to the wet ingredients, and mix until just combined. Roll into walnut sized, small balls using the palms of your hand. Spoon the extra caster sugar onto a plate, then roll the cookie dough in it until it is completely covered. Transfer to the prepared tray, and continue until all the mixture has been rolled. Use the end of a wooden spoon to create an indent in the centre of each cookie. Bake in the oven for 10 minutes, turning the tray around after 5 minutes so that all the biscuits cook evenly. Once the cookies are baked, transfer to a wire rack and allow to cool completely. 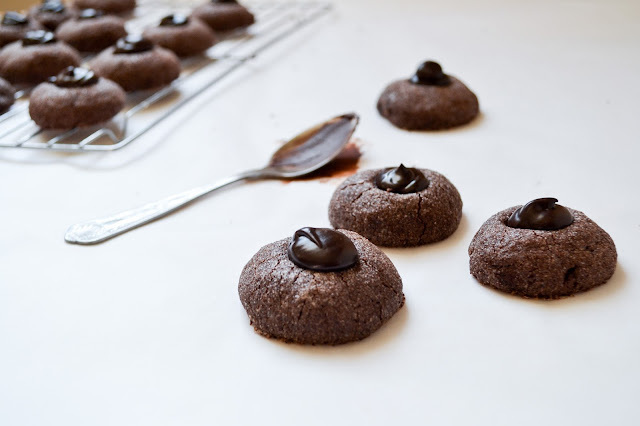 While the cookies are baking, make the ganache. Finely chop the chocolate, then transfer to a heat proof bowl. Put the cream in a small saucepan with the cardamom pods. Bring it to scalding point, but do not let it boil. Discard the cardamom pods, then pour the hot cream over the chocolate. Leave it to sit without stirring for 10 minutes, then stir gently until the chocolate is melted and the ganache is smooth. Transfer the ganache to a piping bag. 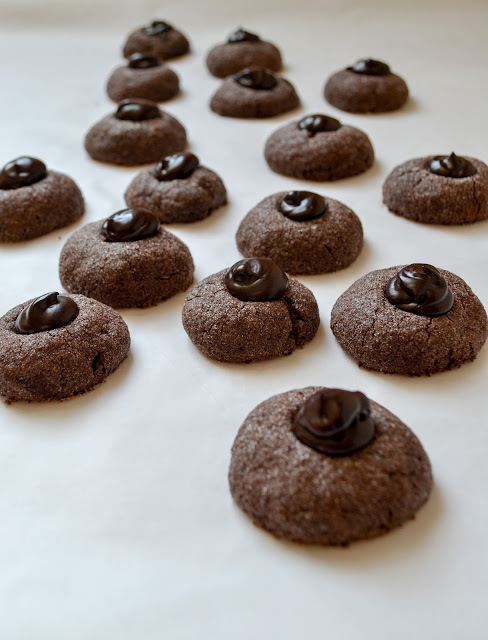 Fill the indents of each cookie with the ganache, piping a smooth circle at the top. It's very top distribute. i'm basically happy with your excellent artistic creations. You set truly immensely strong data. Hold it up. Keep running a blog. Extraordinary blog section. I need to specify this is one of the considerable posts that i've examined in every one of my ways of life. The entire parcel here is really surprising.